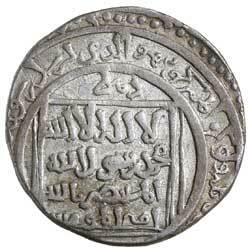 SULTANS OF DELHI, Shams al-din Iltutmish (A.H. 607-633, A.D. 1210-1235), silver tanka, Hadrat Delhi Mint, (10.96 g), AH 625 (1227-8 A.D.), citing the caliph al-Mustansir, (G&G D34 RR This Coin illustrated). 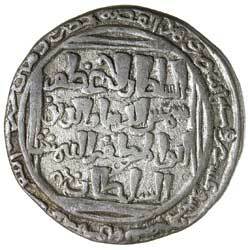 Very fine, reverse off centred, very rare. Ex Dr V.J.A. Flynn Collection and Baldwin's Auction Sale 53, 25 September 2007, (lot 1556).